In the land of 10,000 lakes, about 40 percent of Minnesota’s waters fail to meet basic health standards according to a pair of new state water quality reports — with our namesake river, the Minnesota, among the most polluted. Published every two years, the Impaired Waters List summarizes polluted waters statewide. This year’s report lists about 5,100 bodies of water, including roughly 40 percent of Minnesota's lakes and streams, that fail to meet basic water quality standards. The second report summarizes conditions in the Minnesota River and concludes that excess sediment, fertilizer from farm runoff, bacteria, and excessive river flows make this 332-mile major tributary unhealthy. Under the Clean Water Act, Minnesota sets standards that define how much salt, nitrate, mercury, sediment, bacteria and other pollution a body of water can have in it and still be considered safe for "designated uses" like drinking water, fishing, swimming or irrigation. A body of water is considered “impaired” when it fails to meet one or more water quality standards. Minnesota’s “Inventory of Impaired Waters” is the most comprehensive available list of waters studied so far that fail to meet clean water standards. Published biennially, the draft 2018 list shows that excess mercury in fish tissue — a leading cause for fish consumption advisories throughout Minnesota — remains the single largest cause of impairments in our waters (31 percent). Excess nutrients (14 percent), excess bacteria (14 percent), poor fishery health (13 percent), poor aquatic macroinvertebrates health (12 percent), and excess sediment pollution (7 percent) are other major causes of Minnesota’s more than 5,100 water body impairments. You can view the full inventory of impaired waters online. Better yet, check out the state’s Impaired Waters Viewer (IWAV) for all impaired waters, including those just listed, delisted and corrected for 2018. A second report released in October made it quite clear that, overall, the Minnesota River is unhealthy. Nitrate pollution, primarily from excess farm runoff, continues to increase and poses risks to human health and aquatic life. It's also the primary driver of the Gulf of Mexico’s “dead zone." Several portions of the river suffer from excess bacteria, which can pose risks for aquatic recreation. Major bacteria sources include cropland manure runoff and failing septic systems. Phosphorus pollution causes algae blooms and reduces oxygen in the water, harming aquatic life and recreation. This pollution comes primarily from cropland, along with eroding streambanks and ravines. Wastewater treatment plants, previously a major source, have dramatically reduced their phosphorus effluent. Excess sediment clouds water and harms aquatic life. Cropland runoff contributes about one-third of the excess sediment with the rest coming from unstable stream banks, ravines and bluffs – all of which are eroding at an accelerated rate due to increased river flows. Excess river flows amplify all of these water quality challenges in the watershed. River flows have doubled in just the last 80 years, driven primarily by artificial farm drainage, reduced water storage on the land, climate change, and the lack of perennial vegetation on the landscape. Major improvements in cropping systems that emphasize perennial crops and cover crops, water storage, soil health and pollution controls will be needed to restore the river to health. To learn more about these and other pollutants as well as potential solutions, check out the State of the River Report. While the Mississippi River and its tributaries are cleaner today than they were 30 years ago, these reports make it clear that many challenges remain. FMR is working to reduce many of the pollutants highlighted above. To reduce farm runoff, for example, we're supporting the increased use of perennial crops that better protect our waters and communities while supporting our economy. 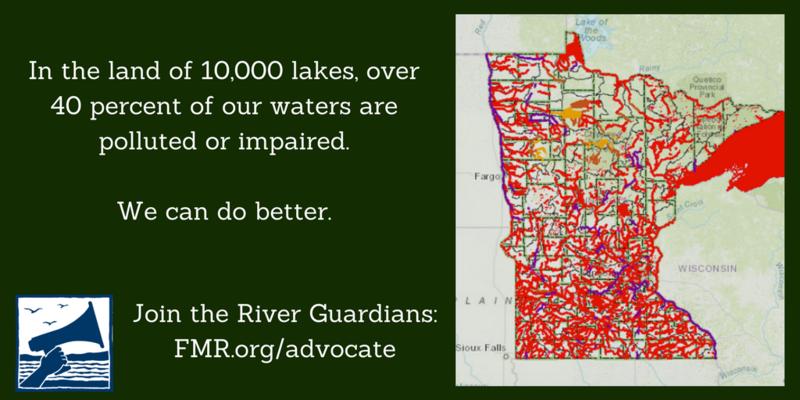 To take action on important water quality issues like these, sign up to be an FMR River Guardian! 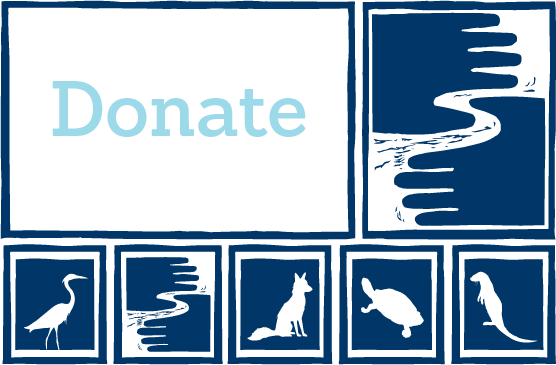 We'll be in touch when the river needs you the most, with email action alerts and invitations to special, educational happy hours.